I love Halloween. I love Portal. So it goes without saying that I’m crazy about this awesome Portal Sentry Gun Pumpkin, complete with a home-brew Erector Set pan & tilt, made by Neil Fraser. Freakin’ awesome! 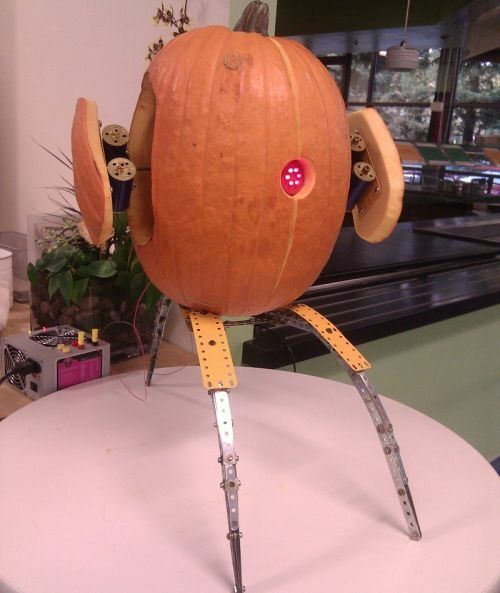 Read “Portal Pumpkin” for more details and pictures! Dude, that is so AWESOME! Job well done.